PUEBLO – Former United States Secretary of Agriculture and Governor of Iowa Tom Vilsack will spend the day at Colorado State University-Pueblo on Wednesday, April 25. 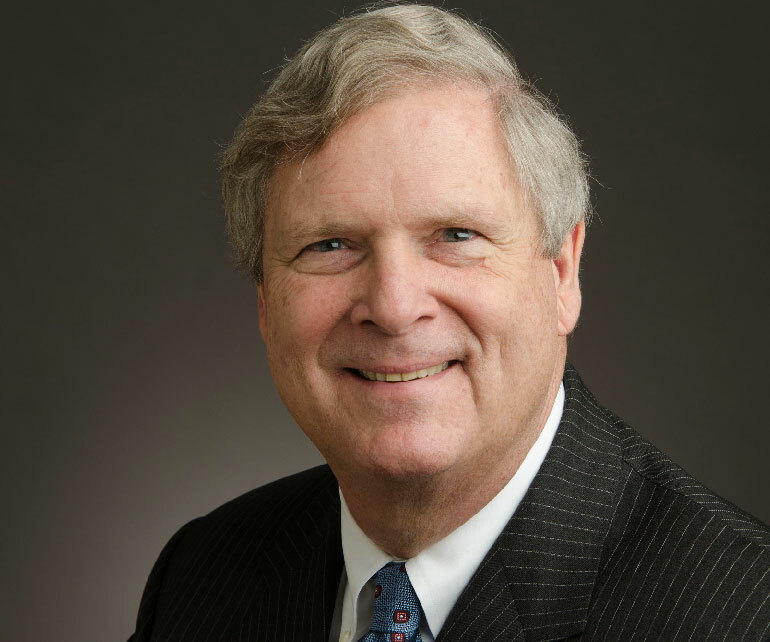 Vilsack will present a classroom lecture on rural poverty and economic development at 8 a.m. in the General Classroom Building 111 followed by a public lecture, “The Rural Economy in the Age of Acceleration,” at 10:30 a.m. in the Occhiato Student Center Ballroom. Since April of 2017, Vilsack and his wife, Christie, have teamed up with the Colorado State University System and Denver Water to advise efforts surrounding the planned National Western Center, a project that will establish Colorado as a nexus for food innovation and Western Heritage. He serves as a strategic adviser of food & water initiatives at the National Western Center and as Global Chair for the International Board of Counselors on Food & Water Initiatives. Vilsack also serves as Chief Executive Officer and President of the U.S. Dairy Export Council. Where he provides strategic leadership and oversight of USDEC's global promotional and research activities, regulatory affairs and trade policy initiatives. This includes working with industry leaders to develop a long-term vision for growth and consumer trust in U.S. dairy. Vilsack joined USDEC in January 2017 after serving eight years as the Nation's 30th Secretary of Agriculture. As leader of the U.S. Department of Agriculture (USDA), he worked hard to strengthen the American agricultural economy, build vibrant rural communities and create new markets for the tremendous innovation of rural America. In eight years at the Department, Vilsack fought to put Americans back to work and create an economy built to last. Under his leadership, USDA supported America's farmers, ranchers and growers who are driving the rural economy forward, provided food assistance to millions of Americans, carried out record conservation efforts, made record investments in our rural communities and helped provide a safe, sufficient and nutritious food supply for the American people. Vilsack was the longest-serving member of President Obama’s original Cabinet. Prior to his appointment, he served two terms as the Governor of Iowa, in the Iowa State Senate and as the mayor of Mt. Pleasant, Iowa. Vilsack received his bachelor’s degree from Hamilton College and his law degree from Albany Law School in New York. He also is the recipient of 10 honorary doctorate degrees. Vilsack has been honored for his public service and work to advance American agriculture by various organizations. Following his visit to Pueblo on April 26-27, Vilsack will help to lead Colorado State University Fort Collins inaugural Water in the West Symposium at McNichols Civic Center Building, 144 W. Colfax Ave., Denver. The Symposium will bring together water authorities from across the nation – including current U.S. Secretary of Agriculture Sonny Perdue – to speak to the future of water in the Western region. Information and tickets available at nwc.colostate.edu.